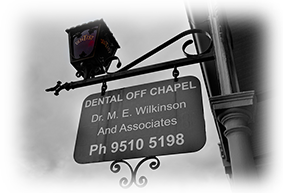 Welcome to Dental off Chapel – Your dedicated local dentist offering professional solutions to people throughout Prahran, South Yarra, Windsor and nearby areas. Our experienced female dentists and staff offer gentle, comprehensive dental care in a relaxed and friendly environment. As the name suggests, we’re situated just off of Chapel Street on Chatham Street in a beautifully appointed clinic fitted with state of the art dental equipment. Patients come to our dental clinic from Windsor, South Yarra, Prahran and surrounding areas to experience a range of dental health services and treatments. We are proud to provide a full range of cosmetic and general dental treatment to our patients. Special needs and Children’s dentistry are of particular interest to our female dentists. We provide a full range of cosmetic and general dental treatment in South Yarra. We focus on affordable dental solutions and treatment plans and are happy to suggest options as appropriate for your budget and circumstances. We know that toothaches and chipped or damaged teeth can occur unexpectedly. That’s why we aim to offer a same-day appointment for emergency situations. Please call to ask about seeing an emergency dentist. We also offer extended hours including Saturdays and evenings, so you can see a dentist when it suits you. Our clinic is conveniently located near Chapel St, in the heart of Prahran & South Yarra. This means that our surgery is within easy reach of South Yarra, Windsor and St. Kilda East. Private health insurance rebates are available. We are a member of the HCF More for Teeth program. Please call us and enquire about our student and Seniors Card discounts. If you’ve been looking for a local dentist you can rely on our expert care in a comfortable, well-appointed clinic. Make an appointment at Dental off Chapel today, we look forward to welcoming you and providing you with the care you deserve.